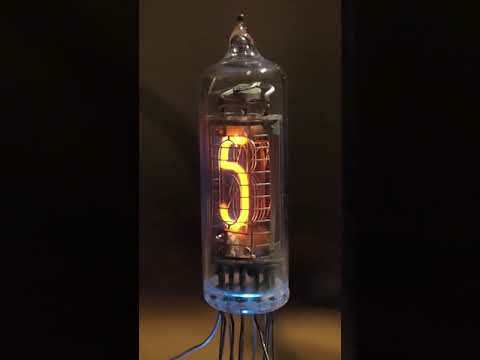 The IN-16 is a small side-view nixie tube made by Gazotron of the former USSR. The tube has left and right decimal points. The tube is date-marked 1@72, which means it is part of the first batch of IN-16s that were made. This is why the anode grid and the shape of the numbers is different than later IN-16s.